Maintenance of your commercial, industrial and personnel doors is always important. It is required for the doors to work safely, reliably and efficiently on a daily basis. Fire doors, however, take extra-special priority when it comes to door maintenance. Fire doors are designed specifically to keep fires and smoke from spreading from one area of a building to another. They are made from highly-specialized materials and their equipment and hardware are designed to automatically close, prevent the spread or exacerbation of fire. 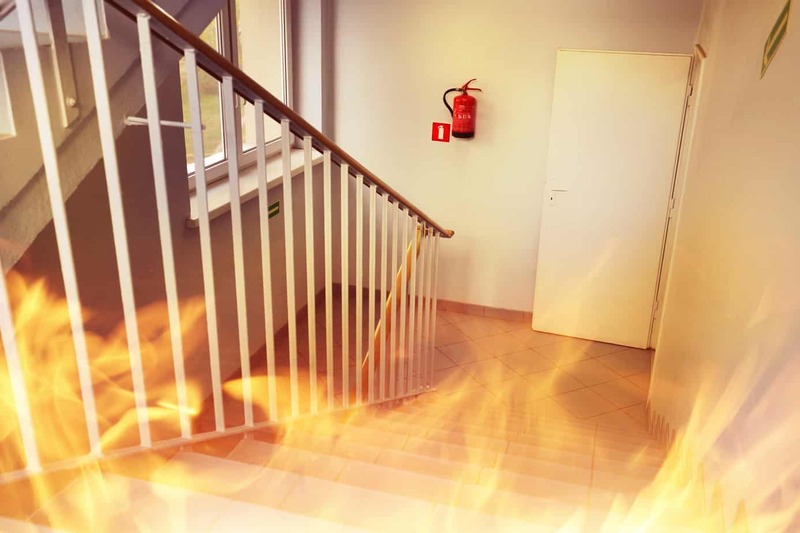 Obviously, failure on your part to maintain, repair and/or replace fire doors and parts as needed can result in serious damage to your building and/or its occupants. Additionally, it can result in steep fines and other penalties if ill-maintained fire doors are not repaired immediately, or are the cause of harm to people or property. Download the NFPA 80 Handbook. While it doesn’t make for the most exciting reading material, it’s a good idea to run through the National Fire Protection Associations handbook (NFPA 80), which outlines the safety standards for fire doors. Work With a Licensed Fire Door Installer. One of the smartest things you can do is work with a licensed commercial door installer who specializes in fire doors. The same people who install the doors will also be qualified to provide scheduled, routine inspections. Call around to various door vendors in your area to find one who offers annual or semi-annual inspections. They will calendar your inspections so you don’t have to remember them. During their fire door inspection, the technician will perform routine maintenance services, including lubricating of moving parts, tightening up of any loose screws or attachments, etc. Any additional parts and replacement issues will be discussed with you and an estimate will be given. Basic repairs can take place right then and there, more complicated repairs or replacements that require special parts orders will be calendared ASAP. Perform Your Own Inspections. A door that works fine today can stop working fine tomorrow. For this reason, we recommend that building owners and/or maintenance personnel do weekly or monthly inspections on their own – depending on what makes sense for the door’s use and location. Door surfaces and frames do not have holes, breaks, cracks or notable issues. Glazing, vision light frames, and glazing beads are intact. Doors, frames, hinges, hardware, and thresholds are aligned and are adequately tightened. There are no missing or broken parts. Door clearances around frames and at thresholds are appropriate. Self-closure devices operate as designed, without a delay. Coordinators are installed with an inactive leaf closing before active leaf. Latching hardware operates and secures the door when closed. The door should not push open without operating the appropriate lever, handle or push-bar. Auxiliary hardware does not interfere with operation of the door assembly. Modifications do not void the label. Gasket and edge seals are verified for presence and integrity. Keep a map on hand that has all fire doors clearly indicated. Building personnel can use this to check that all mapped fire doors are working properly and do not show any signs of abuse, excess wear-and-tear or other signs that repairs are required. Ultimately, it is your responsibility to make sure that the doors are inspected and maintained as per NFPA recommendations and your local fire safety code. These inspections and repairs should be carefully documented and stored in case they are need for future reference. Always note the specific inspector’s name, the date, time and findings in as much detail as possible since a fire door’s conditions can change very quickly. Would you like assistance with fire door maintenance, installation or inspection? 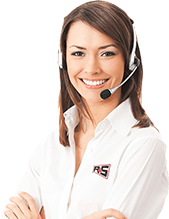 Give us a call here at R&S, (925) 671-7606. We’ve provided reliable fire door installation, repair and maintenance for Bay Area clients for more than 50 years. Previous Post: How to Choose an Automatic GateNext Post: Is it Time to Repair or Replace that Garage Door?